Build the rum, lime juice and sugar in a Collins glass filled with big ice. Stir to dissolve the sugar. 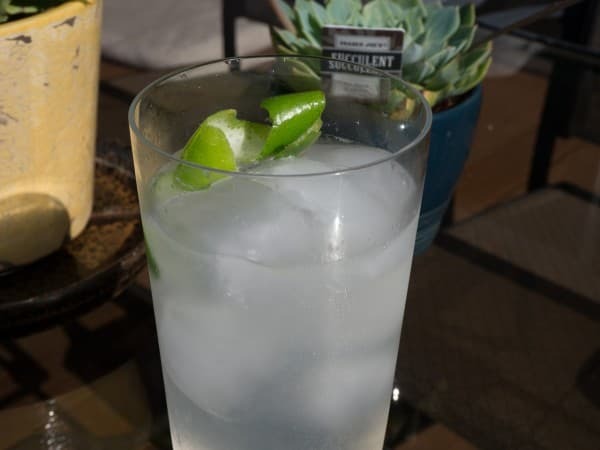 Top with chilled club soda and garnish with a long lime peel. I am guessing that the Rum Collins came along not long after the gin-based Tom Collins. Both gin and rum have an affinity with lemon and lime. And the Tom Collins originated in England as the John Collins and we know the Brits were awash in rum at the time (mid-19th Century). So it's not too much of a stretch to think the rum got substituted for gin rather quickly by some Limey who either ran out of gin or just wanted to see what happened. What happened is a really good drink. I make mine with lime juice but you can use lemon juice instead with no hitches. I usually use white rum but it can be fun to experiment with aged rum (that's always interesting). Agricoles and rums in that vein such as Barbancourt 8 Year have yielded tasty results. Beyond experimenting with the rum and which citrus juice you use I wouldn't make too many other changes. A Rum Collins is a straightforward formulation designed to show off the base spirit with some sweetened citrus acid and carbonated water. Clean, refreshing and easy to make.